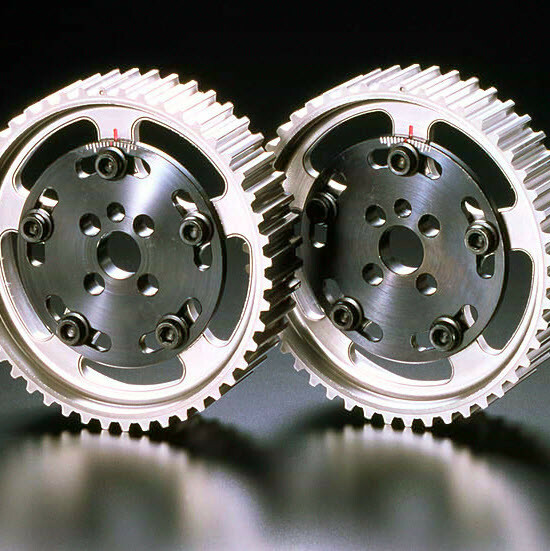 Sliding cam gear (cam sprocket) made for the Mazda B6 (1.6L) or BP (1.8L) engine that we can find in NA (1989-1997) MX-5 Miatas. It is used to have the optimal valve timing when tuning the vehicle's engine. There is a scale on the cam gear for easier adjustment. Please note that it is ALL BLACK ANODIZED, not 100% identical to the image shown on the website. 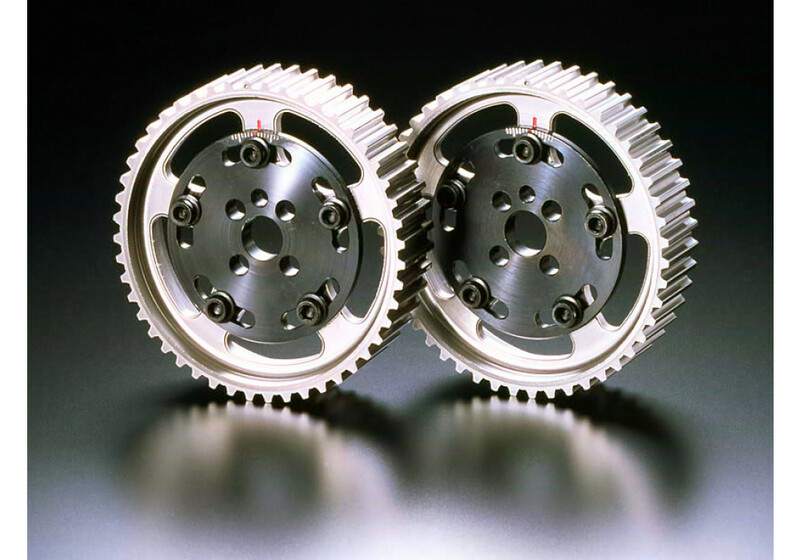 Jun Auto Adjustable Cam Gears should be ordered at REV9 Autosport https://rev9autosport.com/jun-auto-adjustable-cam-gears.html as they provide the best service and speed we've seen so far! Bonjour, pourriez vous nous indiquer le poids (Kg) pour un engrenage / une seule pièce? je cherche les plus léger possible et réglable du marché. 600g pour le côté INTAKE et 650g pour le côté EXHAUST.